The new Grass Valley LDX 86N system camera is capable of acquiring high-quality images in the HD/3G/4K/Super SloMo formats. Veteran production company NEP Switzerland is building two large 4K/UHD OB trucks, a 4K/UHD studio and playout facility, and a remote studio, that all leverage the latest live production and content delivery solutions from Grass Valley. Part of the global NEP Group, NEP Switzerland provides a variety of production services for live sports and entertainment clients across the country and reports that customers have increasingly been asking about 4K—even if they are not yet ready to deliver it on air. This project represents the first full 4K/UHD workflow and playout solution installed in OB vans and studios in Switzerland. 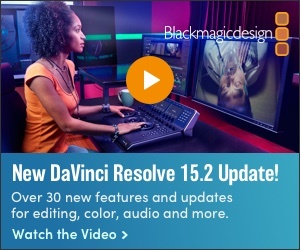 Included in the installation are native 4K cameras, switchers, routers, multi-viewers and playout. The first OB van is already operating in the field and the studios will be coming online soon. Trond Hermansen, CTO and project manager, NEP Switzerland, said that in choosing Grass Valley technology, they were looking for a supplier that could provide a true, end-to-end 4K/UHD solution. Each of the two OB vans feature 16 LDX 86N system cameras, capable of producing native images in the HD/3G/4K/Super SloMo formats, and nine M/E K-Frame switchers with Grass Valley’s Karrera and Korona control panels. The studio facility in Zurich is equipped with two large 9 M/E K-Frame Switchers with two Karrera and two Korona control panels, eight LDX 86N 4K camera chains, a 4K/UHD capable Nvision 8576 router with 369 x 774 I/Os, and a Kaleido-Modular-X multiviewer system. 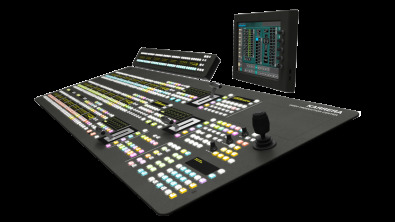 NEP Switzerland’s new studio control rooms will feature the new Grass Valley K-Frame switcher and Karrera control panel. A Grass Valley iTX integrated Playout platform is handling 20 channels of live and 24/7 playout including two 4K/UHD event channels. A satellite facility in Rossens near Geneva is equipped with four LDX 86N 4K camera chains that are remotely controlled from the Zurich studio. The LDX 86N Native HD/3G/4K/High-Speed System Camera, with its XensiumHAWK CMOS imagers and the DPMUltra feature, delivers 3G/HD performance as well as the ultimate 4K resolution with native 4K imaging. Just like all the LDX Series cameras, they support the GV-eLicense software upgrade path for easy upgradability as needed. With the GV-eLicense, users can activate native HDR operation with an outstanding range of up to 15 F-stops; and because both standardized HDR OETFs are directly supported, no proprietary in-between curve with intrinsic negative effects is required. Playout is also a critical ingredient in the deployment of the NEP Switzerland solution. Using the latest version of iTX, the UHD channels feature new Vertigo UHD graphics capability as well as an updated secondary record to capture UHD files for later replay. The iTX system is also present at the second site, which provides geographic resilience and disaster recovery features for added peace of mind.